In the early 1990's British music had fallen into a state of an overabundant supply. 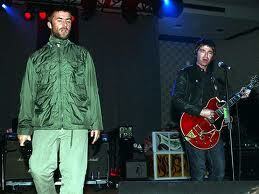 Then bands like Oasis and Blur suddenly appeared on the music scene like a flash. This music is called Britpop. The delightful music from these bands came from the worker class and excited people, making a big impact on the British people. The influence of the class still exists in Britain. Their music that satirized society obtained a lot of people's sympathy, and a big sensation happened. By the way, I loved that the band Oasis shut down last year. I could not help smiling a wry smile because it is said that the cause was a quarrel between the brothers. However, I love such mischievous British music.